Anita has been an Aesthetician and Beauty therapist for many years and for most of that time has been based in Bromsgrove. She has offered a wide range of treatments and for the last 17 years has also provided CACI Non Surgical Facial Toning, Jowl Lift, and Hydratone treatments plus Microdermabrasion to her many clients. 10 years ago she commenced ultrasound hair removal treatment - Applisonix; and in 2014 added iPulse laser hair removal to her treatment range. 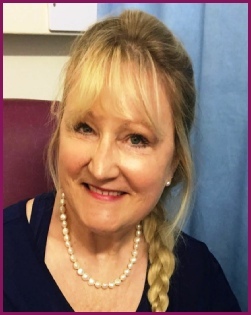 Anita brings to Tranquility in Droitwich her wide range of treatments including the full hair removal package, CACI non-surgical treatments and microdermabrasion. She also provides an initial consultation service for those interested in referral to a senior cosmetic surgeon for surgical cosmetic procedures on the face and body.